What Bible Translation is Used in the Commentary? David Guzik uses the New King James Version in his Bible commentary work. He believes there are other good translations available today, but for a number of reasons prefers the NKJV. Does David have a Doctrinal Statement? A. I BELIEVE that there is one living and true God, eternally existing in three Persons: The Father, The Son, and The Holy Spirit, equal in power and glory; that this triune God created all, upholds all, and governs all. B. I BELIEVE that the Scriptures of the Old and New Testaments are the Word of God, fully inspired without error in the original manuscripts, and the infallible rule of faith and practice. C. I BELIEVE in God The Father, an infinite personal Spirit, perfect in holiness, wisdom, power and love; that He concerns Himself mercifully in the affairs of men; that He hears and answers prayer; and that He saves from sin and death all who come to Him through Jesus Christ. D. I BELIEVE in Jesus Christ, God’s only begotten Son, conceived by the Holy Spirit. I believe in His virgin birth, sinless life, miracles and teachings, His substitutionary atoning death, bodily resurrection, ascension into heaven, perpetual intercession for His people and His personal, visible return to earth. E. I BELIEVE in the Holy Spirit, who came forth from the Father and the Son to convict the world of sin, righteousness, and judgment, and to regenerate, sanctify, and empower for ministry all who believe in Christ. I believe the Holy Spirit indwells every believer in Jesus Christ and that He is an abiding Helper, Teacher, and Guide. I believe in the present ministry of the Holy Spirit and in the exercise of all the Biblical gifts of the Spirit. F. I BELIEVE that all people are sinners by nature and choice and therefore, are under condemnation; that God regenerates by the Holy spirit, those who repent of their sins and confess Jesus Christ as Lord; that Jesus Christ baptizes the seeking believer with the Holy Spirit, empowering them for service. G. I BELIEVE in the universal Church, the living spiritual body, of which Christ is the Head and all regenerated persons are members. H. I BELIEVE that the Lord Jesus Christ committed two ordinances to the Church: 1) water baptism, and 2) the Lord’s Supper. I believe in baptism by immersion and communion open to all believers. I. I BELIEVE also in the laying on of hands for the baptism of the Holy Spirit, for ordination of pastors, elders, and deacons, and for the receiving of gifts of the Spirit of healing. J. I BELIEVE in the personal, visible return of Christ to earth and the establishment of His kingdom, in the resurrection of the body, the final judgment and eternal blessing of the righteous and the endless suffering of the wicked. K. I BELIEVE in what is termed “The Apostle’s Creed” as embodying fundamental facts of the Christian faith. A. To worship God the Father, God the Son, and God the Holy Spirit (John 4:24). B. To build up the Church of Jesus Christ through the teaching of the Word and the ministry of the Holy Spirit (2 Timothy 3:16-17; 1 Corinthians 12:4-7). C. To increase Christian faithfulness “as good stewards of the manifold grace of God” (1 Peter 4:10). 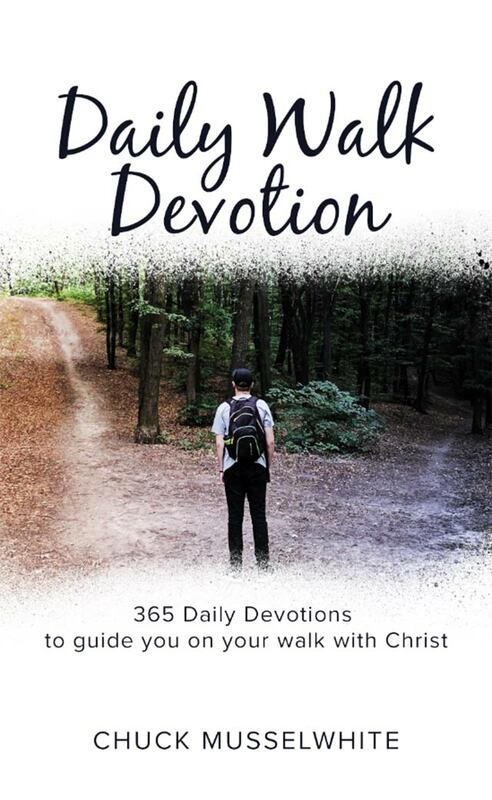 D. To encourage individual Christians toward attaining the measure of the stature of the fullness of Christ (Ephesians 4:13). E. To be ambassadors of Christ in our community, and unto the nations, and to lead men and women to faith in Jesus Christ as Savior and Lord (2 Corinthians 5:20-21; Matthew 28:19-20; John 3:16). How Can I Pray for David and Enduring Word? 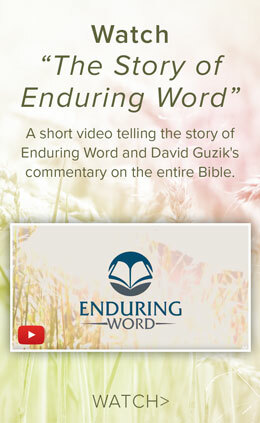 We are so thankful for those who pray for the work of David Guzik and Enduring Word. Click here for specific prayer requests. Does David have a radio program? Is Enduring Word a Not-For-Profit Corporation? Yes. Enduring Word is a non-profit corporation that gratefully receives gifts and contributions (tax ID: 46-5454096). We use the gifts to support the work of Enduring Word including translation, radio ministry, further commentary and publishing, and some of David Guzik’s ongoing work. Gifts can be made here. Where is the Bibliographical Information? Bibliographical information is found in the print and Kindle editions, which may be purchased here. We also are adding this information to the website as we are able. Sometimes David can provide a specific citation or reference by email. You are welcome to email us with comments and corrections. We make corrections and updates as we are able to. Can David Guzik Answer My Questions? You are welcome to send your questions about the Bible and the Christian life to us by email. David is able to answer most of his email, but sometimes it takes a few weeks. Please be patient. Are There Other Websites that Feature David’s Commentary? Is The Commentary Available in Spanish? Most of the commentary is translated into Spanish and can be found here. We are working on translation into other languages. David Guzik is the pastor of Calvary Chapel Santa Barbara. For almost 20 years believers have used his teaching notes as Bible Commentary. Many people find them helpful for their own understanding or in preparing to teach or preach the Bible. David is a regular guy who loves Jesus and His Word. He and his wife Inga-Lill live in Santa Barbara, California.